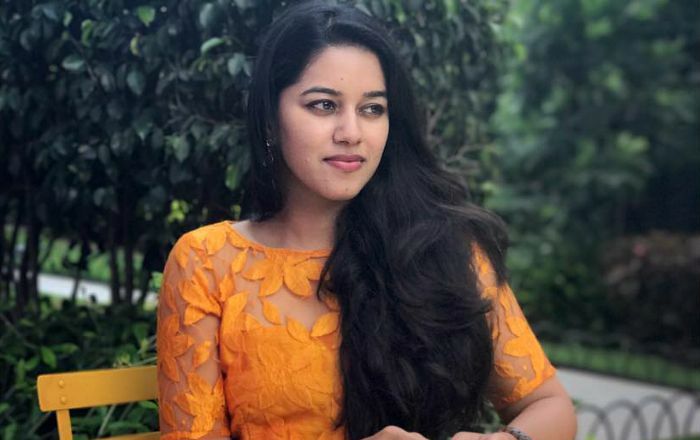 Mirnalini Ravi came into the scene when her dubsmash videos of popular dialogues from Tamil movies went viral across different social media platforms. Not long before she became famous, the film offers started to knock her doors, who is currently busy shooting for her films. She has over 300K followers on Instagram and over 250K followers on Facebook. Mirnalini Ravi was born on 10 May 1995, in Pondicherry, India. Mirnalini is an Engineering graduate. She has a low profile which makes difficult for us to say anything about her love life and dating history. Mirnalini had her first starring role in the 2017 Tamil thriller film, Nagal, directed by debutante Suresh S Kumar, a former associate of Suseenthiran and produced by Manikandan Sivadas under the banner Charismatic Creations. She has not appeared in any TV series till date but is known for her appearance on some talk shows. She became a social sensation lately over the Dubsmah videos that she posted on her social accounts. She has endorsed many products like Godrej cinthol. Unfortunately, we do not have any information on Mirnalini’s net worth. After graduation, she briefly worked as a software engineer in a leading IT company in Bangalore before landing a leading role in the Tamil film Nagal. In 2016, she won the Favorite Dubsmasher (Female) award at Smile Settai’s first Annual Awards. She has starred in the film Super Deluxe, which has Vijay Sethupathi, Fahadh Faasil, Samantha, Mysskin, Ramya Krishnan and Gayathrie in pivotal roles. Directed by Thiagarajan Kumararaja of Aaranya Kaandam fame, the film has Yuvan Shankar Raja which is scheduled to release before Nagal.